A Century of Lawmaking for a New Nation - Consists of a linked set of published congressional records of the U.S. of America from the Continental Congress through the 42nd Congress (1774-1873). Abraham Lincoln Historical Digitization Project (Lincoln/Net) - Lincoln/Net presents historical materials from Abraham Lincoln's Illinois years (1830-1861), including Lincoln's writings and speeches, as well as other materials illuminating antebellum Illinois. Abraham Lincoln Papers at the Library of Congress (1) - Over 20,000 documents, including incoming and outgoing correspondence and enclosures, drafts of speeches, notes and printed material. Most items are from the 1850s through Lincoln's presidential years, 1860-65. Abraham Lincoln Papers at the Library of Congress (2) - The papers of Abraham Lincoln (1809-1865), lawyer, representative from Illinois, and sixteenth president of the United States, contain approximately 40,550 documents dating from 1774 to 1948, although most of the collection spans from the 1850s through Lincoln’s presidency (1861-1865). Roughly half of the collection, more than 20,000 documents, comprising 62,000 images, as well as transcriptions of approximately 10,000 documents, is online. Included on this website in their entirety are Series 1-3 of the Lincoln Papers and the original materials in Series 4. Excluded from this online presentation is a sizeable portion of Series 4, which consists of printed material and reproductions of government and military documents made from originals in the holdings of the National Archives and Records Administration. Abraham Lincoln Presidential Library and Museum - Official Web site. The Presidential Library and Museum brings together the world's largest collection of documentary material related to the life of the 16th President. Papers of Abraham Lincoln - A long-term project dedicated to identifying, imaging, transcribing, annotating, and publishing all documents written by or to Abraham Lincoln during his entire lifetime (1809-1865). Sponsored by the Abraham Lincoln Presidential Library and Museum and cosponsored by the University of Illinois Springfield and the Abraham Lincoln Association. Accessible Archives - Primary source material from 18th and 19th century periodicals. Alexander Hamilton Papers - Collection at the Library of Congress. The papers of Alexander Hamilton (ca. 1757-1804), first treasury secretary of the United States, consist of his personal and public correspondence, drafts of his writings (although not his Federalist essays), and correspondence among members of the Hamilton and Schuyler families. The collection, consisting of approximately 12,000 items dating from 1708 to 1917, documents Hamilton's impoverished Caribbean boyhood (scantily); events in the lives of his family and that of his wife, Elizabeth Schuyler Hamilton; his experience as a Revolutionary War officer and aide-de-camp to General George Washington; his terms as a New York delegate to the Continental Congress (1782-1783) and the Constitutional Convention (1787); and his careers as a New York state legislator, United States treasury secretary (1789-1795), political writer, and lawyer in private practice. Most of the papers date from 1777 until Hamilton's death in 1804. AmDocs - Documents for the study of American History from the 15th-century to present day. Amelia Earhart Collection - The George Palmer Putnam Collection of Amelia Earhart Papers offers a rare glimpse into the life of America's premier woman aviator. In 1928 she was the first woman to across the Atlantic. As an inspiration for women to pursue non-traditional roles, Purdue President Elliott invited Amelia Earhart to lecture at the university. Earhart became a part of Purdue and the university funded the purchase of her "flying laboratory" that was to be used on her ill-fated last flight. America from the Great Depression to World War II - Photographs from the FSA-OWI, 1935-1945. The images in the Farm Security Administration-Office of War Information Collection are among the most famous documentary photographs ever produced. Created by a group of U.S. government photographers, the images show Americans in every part of the nation. 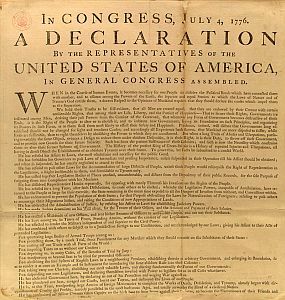 America's Founding Documents - These three documents, known collectively as the Charters of Freedom, have secured the rights of the American people for more than two and a quarter centuries and are considered instrumental to its founding and philosophy of the United States: Declaration of Independence, Constitution, and Bill of Rights. American Life Histories: Manuscripts from the Federal Writers' Project, 1936-1940 - This collection of life histories consists of approximately 2,900 documents, compiled and transcribed by more than 300 writers from 24 states, working on the Folklore Project of the Federal Writers' Project, a New Deal jobs program that was part of the U.S. Works Progress (later Work Projects) Administration (WPA) from 1936 to 1940. Typically 2,000-15,000 words in length, the documents vary in form from narratives to dialogues to reports to case histories. They chronicle vivid life stories of Americans who lived at the turn of the century and include tales of meeting Billy the Kid, surviving the 1871 Chicago fire, pioneer journeys out West, grueling factory work, and the immigrant experience. Writers hired by this Depression-era work project included Ralph Ellison, Nelson Algren, May Swenson, and many others. American Memory - Library of Congress collections of primary source and archival material relating to American culture and history. Amercian Rhetoric - Online speech bank, rhetoric in sound, top 100 US. speeches. Rhetorical devices, rhetorical figures, rhetoric journals. American Revolution and its Era - Most of the items presented here are documented in Maps and Charts of North America and the West Indies, 1750-1789: A Guide to the Collections in the Library of Congress compiled by John R. Sellers and Patricia Molen van Ee. The bibliography contains approximately 2,000 maps and charts. Over the next several years many of the maps and charts in this bibliography will be added to this online collection. American State Papers - Contains the legislative and executive documents of Congress during the period 1789 to 1838. The collection includes documents that cover the critical historical gap from 1789 to the printing of the first volume of the U.S. Serial Set in 1817. Africans in America - A companion to Africans in America, a six-hour public television series. The Web site chronicles the history of racial slavery in the United States - from the start of the Atlantic slave trade in the 16th century to the end of the American Civil War in 1865. The site is structured into four parts, corresponding to the periods covered by the episodes of the companion television series. For each part, there is a narrative, which relates the history of the period and provides links to specific entries in the resource bank. The resource bank is a compilation of over 400 items, comprised of People and Events entries (in-depth biographies and historical notes), Historical Documents (annotated visual materials and texts), and Modern Voices (commentaries excerpted from the original interviews with experts who appear on-camera in the television series). Annexation of Hawaii: A Collection of Documents - Primary source material on the United States annexation of Hawaii (1893-1900). ArchiveGrid - An important destination for searching through historical documents, personal papers, and family histories held in archives around the world. Assassination Archives and Research Center (AARC) - Founded in 1984 to provide a permanent organization which would acquire, preserve, and disseminate information on political assassinations. The AARC has come into the possession of hundreds of thousands of pages of long-awaited records: raw files from the CIA, FBI, Warren Commission, Garrison Investigation, Assassination Records Review Board, Church Committee, Rockefeller Commission, House Select Committee on Assassinations, and other government agencies. Many of these documents were released in recent years under the provisions of the JFK Assassination Records Collection Act. Atomic Energy Commission: In the Matter of J. Robert Oppenheimer - Texts of principal documents and letters of Personnel Security Board, General Manager, Commissioners. Washington, D.C., May 27, 1954, through June 29, 1954. Authentic History Center (AHC) - Primary sources from American culture, including images of artifacts, sounds, and written letters and diaries. Avalon Project at the Yale Law School - Primary source materials in the fields of law, history, economics, politics, diplomacy and government. AWOLBUSH - Background and commentary as well as the Documented Military Service Records of John Kerry and George Bush. Bay of Pigs Invasion - Pursuant to a FOIA lawsuit filed by the National Security Archive on the 50th anniversary of the infamous CIA-led invasion of Cuba, the CIA has released four volumes of its Official History of the Bay of Pigs Operation. The Archive Cuba Project has posted Four Volumes and continues to call for the declassification of the still secret Volume 5. Belfast Newsletter Index, 1737-1800 - The Belfast Newsletter, an Irish newspaper that began publication in Belfast in 1737 and continues in business until this day. Every significant word and date in the 20,000 surviving pages of the newspaper is indexed here. Biddle Edition Archive of the Travels of Lewis and Clark - The items in this archive document the process that occurred before the Journals of the Lewis and Clark expedition, written by the captains of the venture, appeared. The letters, newspaper clippings, and documents explain why seven years lapsed between the return of the Corps of Discovery and the appearance of the journal. It gives a glimpse into the state of the publishing industry at the turn of the nineteenth century. The collection introduces important contributors to the publication of the journals, many of whom were prominent figures in their day. These contributors include Thomas Jefferson, Nicholas Biddle, Meriwether Lewis and William Clark in addition to less known luminaries like Benjamin Smith Barton, Paul Allen, Charles Chauncey, Ferdinand Rudolph Hassler, John and William Bartram, Frederick Pursh, Alexander Wilson, Matthew Carey, Albert Gallatin, and George Shannon. British Mandate of Palestine - The British Mandate for Palestine, sometimes referred to as the Mandate of Palestine, was a League of Nations mandate created after the First World War when the Ottoman Empire was split by the Treaty of Sèvres. The British Mandate of Palestine comprised territory that now comprises most of modern-day Jordan, Israel, the West Bank and the Gaza Strip. The borders of the Mandate for Palestine extended from the Mediterranean Sea to the west, the French Mandate of Lebanon, French Mandate of Syria, and the British Mandate of Mesopotamia to the north, the Kingdom of Saudi Arabia to the east and south, and the Kingdom of Egypt to the south-west. The British Mandate operated from 1923 until the independence of Transjordan (later renamed Jordan) in 1946 and of Israel in 1948. See Wikipedia article. Bush Files, The - These documents are drawn from a collection of 19,000 files of Paul H. O'Neill, the U.S. Treasury Secretary for the first two years of the Presidency of George W. Bush. The files, which range from memoranda to the President to handwritten notes to "sensitive" internal reports, cover a sweeping array of foreign and domestic issues. They also display the attending political and personal matters that often determine policy. They were collected as part of a Treasury Department archiving process in which every item that crossed O'Neill's desk was copied into a TIF, or image, file. California Heritage Collection of the Bancroft Library - Pictures documenting the history of California from earliest times to the present. More than 30,000 images illustrating California's history and culture. California Newspaper Project (CNP) - An 18 year effort to identify, describe and preserve California newspapers. Close to 9,000 California newspapers were inventoried in over 1,400 repositories throughout the state, 1.5 million pages of California newspapers were preserved and made available on microfilm, and 100,000 rolls of negative microfilm rolls are being processed for permanent storage at the UC Regional Library Storage Facilities. Calisphere - University of California's free public gateway to a world of primary sources. More than 150,000 digitized items - including photographs, documents, newspaper pages, political cartoons, works of art, diaries, transcribed oral histories, advertising, and other unique cultural artifacts - reveal the diverse history and culture of California and its role in national and world history. Calisphere's content has been selected from the libraries and museums of the UC campuses, and from a variety of cultural heritage organizations. Central Intelligence Agency: 25 Year Program Archive Search - The automatic declassification provisions of Executive Order 13526, as amended, require the declassification of nonexempt historically-valuable records 25 years old or older. The EO was originally issued in April 1995 and amended in 2003, when it established 31 December 2006 as the first major deadline for automatic declassification under the "25-year program." Also see FOIA Electronic Reading Room. Charters of Freedom - National Archives provides background to, original images of, and text of Declaration of Independence, Consitution, Bill of Rights and information on their impact. Chile and the United States: Declassified Documents Relating to the Military Coup, September 11, 1973 - Provided by the National Security Archive. Chile Documentation Project - U.S. records on the Pinochet dictatorship in Chile, and Washington's role in the violent overthrow of the Allende government and the advent of the military regime to power. China and the U.S.: From Hostility to Engagement, 1960-1998 - Publishes unclassified and newly declassified documents pertaining to the formulation and implementation of the U.S.' policies toward the People's Republic of China and Taiwan over the last four decades, indexed for maximum accessibility. This set reproduces on microfiche over 2,000 memoranda and policy studies, diplomatic cables, briefing and information papers, transcripts of conversations between key Chinese and U.S. officials, written communications between U.S. and Chinese officials, government-to-government agreements, and intelligence reports and studies. Church Committee Reports - The Senate Select Committee to Study Governmental Operations with Respect to Intelligence Activities, known as the Church Committee after its chairman Frank Church, conducted a wide-ranging investigation of the intelligence agencies in the post-Watergate period. The Church Committee took public and private testimony from hundreds of people, collected huge volumes of files from the FBI, CIA, NSA, IRS, and many other federal agencies, and issued 14 reports in 1975 and 1976. Since the passage of the JFK Assassination Records Collection Act in 1992, over 50,000 pages of Church Committee records have been declassified and made available to the public. These files contain testimony and information on U.S. attempts to assassinate foreign leaders, on the Church Committee's investigation of the intelligence agencies' response to the JFK assassination, and related topics. Also available here is the report of the Rockefeller Commission, which preceded the Church Committee and issued a brief report on CIA activities within the U.S.
CIA FOIA Page and Electronic Reading Room - Here you can view documents released through the FOIA and other CIA release programs. If you would like to view our previously released documents and collections, visit the CIA's Frequently Requested Records, its Historical Review Office Collections, and its CREST: 25-Year Program Archive. Clinton Presidential Center - Browse/search over 20,000 documents in 400+ categories. Code of Hammurabi, The - From the Avalon Project of the Yale Law School. COINTELPRO - An acronym for the FBI's domestic "counterintelligence programs" to neutralize political dissidents. Although covert operations have been employed throughout FBI history, the formal COINTELPRO's of 1956-1971 were broadly targeted against radical political organizations. Between 1960 and 1974, the FBI conducted over 500,000 separate investigations of "subversive" persons and groups, predicated on the possibility that they might try to overthrow the government by force. Yet not a single individual or group was prosecuted for planning or advocating the violent overthrow of the government -- the alleged statutory basis for opening the FBI investigations. Numerous individuals were imprisoned on unrelated or spurious charges, though, in order to "neutralize" them, and several remain in prison today. Conelrad - American culture during the Cold War through films, television, records, and literature. Congress in the Archives - Records of the U.S. House of Representatives and the U.S. Senate document the history of the legislative branch. Examples are posted here. Congressional Documents: Browse - Catalogs are available from GPO for the 104th Congress to the present. Links are included with each Congressional document listed in the catalog, which retrieve the text of the corresponding document as an ASCII text or PDF file. Congressional Record - The Congressional Record began publication in 1873. Printed by the Government Printing Office, it is the fourth and final series of publications containing the debates of Congress. (It was preceded by the Annals of Congress, Register of Debates, and Congressional Globe.) The Record is far more comprehensive than its predecessors in reporting Congressional debates. Appendixes appear in most volumes, the earlier ones limited mainly to speeches of members. Recent versions of the Record may be found in THOMAS, the legislative information site at the Library of Congress. This site debuted during the 104th Congress, but contains searchable text of the contemporary Record. Constitute - Offers access to the world's constitutions that users can systematically compare them across a broad set of topics - using a modern, clean interface. The Comparative Constitutions Project has tagged passages of each constitution (over 160 constitutions from throughout the world) with a topic - e.g., "right to privacy" or "equality regardless of gender" - so you can quickly find relevant excerpts on a particular subject, no matter how they are worded. You can browse the 300+ topics in the expandable drawer on the left of the page, or see suggested topics while typing in the search bar (which also lets you perform free-text queries). Constitution of the U.S. of America - Web version by Peter W. Martin, Cornell Law School. Constitution Society Liberty Library of Constitutional Classics - A comprehensive collection of constitutional materials, including books, articles, and tools. Sponsored by Institute of International Studies: University of California, Berkeley. Also see Interviews by Guest Name page. Elliot's Debates: The Debates in the Several State Conventions on the Adoption of the Federal Constitution - This is a five-volume collection compiled by Jonathan Elliot in the mid-nineteenth century. The volumes remain the best source for materials about the national government's transitional period between the closing of the Constitutional Convention in September 1787 and the opening of the First Federal Congress in March 1789. On September 17, 1787, the Continental Congress accepted the recommendation of the Constitutional Convention and agreed to distribute the proposed constitution to the states; each state was then to elect delegates to a state convention to approve or disapprove the new constitution. The Constitution would take effect upon ratification by the conventions of nine of the thirteen states. Elliot's Debates collects the documents pertinent to the discussions on ratification: the Declaration of Independence, the Articles of Confederation, the Journal of the Constitutional Convention (from a version that is earlier and less accurate than that in The Records of the Federal Convention of 1787), the text of the proposed Constitution, and the debates in the various states. The Federalist Papers also presents a vital part of the debate over the Constitution. Farrand's Records: The Records of the Federal Convention of 1787 - Published in 1911, Farrand's work gathered the documentary records of the Constitutional Convention into four volumes--three of which are included in this online collection--containing the materials necessary to study the workings of the Constitutional Convention. According to Farrand's introduction, at the close of the convention, the secretary, William Jackson, delivered all the materials to the president of the convention, George Washington, who turned these papers over to the Department of State in 1796. In 1818, Congress ordered that the records be printed, which was done under the supervision of the Secretary of State John Q. Adams, in 1819. Journals of the Continental Congress - These are are the records of the daily proceedings of the Congress as kept by the office of its secretary, Charles Thomson. The Journals were printed contemporaneously in different editions and in several subsequent reprint editions. None of these editions, however, includes the "Secret Journals," confidential sections of the records, which were not published until 1821. This complete edition, published by the Library of Congress from 1904 to 1937, is based on the manuscript Journals and other manuscript records of the Continental Congress in the Manuscript Division of the Library of Congress. Letters of Delegates to Congress, 1774-1789 - Twenty-six volumes which aim to make available all documents written by delegates that bear directly upon their work during their years of actual service in the First and Second Continental Congresses, 1774-1789. This work builds on an earlier eight-volume edition of Letters of Members of the Continental Congress edited by Edmund C. Burnett. Core Documents of U.S. Democracy - Maintained by GPO. Cornell University Collection of Political Americana - The central goal of the project is to preserve, digitize, and catalog all items in the Susan H. Douglas Collection of Political Americana. Acquired from an individual collector between 1957 and 1961, the Douglas collection includes approximately 5,500 items of American political campaign memorabilia and commemorative items dating to between 1789 and 1960. Mrs. Douglas characterized them as: ballots, bric-a-brac (larger three-dimensional objects), broadsides, buttons, cartoons, maps and charts, pamphlets, paper miscellaneous, parade items, posters, prints, ribbons, sheet music, songbooks, textiles, trinkets, and wearing apparel. Covert Action in Chile 1963-1973 - The Church Report, prepared for the U.S. Senate's Select Committee to study governmental operations with Respect to intelligence activities in Chile. Prepared 18 Dec 1975. "Covert United States involvement in Chile in the decade between 1963 and 1973 was extensive and continuous. The Central Intelligence Agency spent three million dollars in an effort to influence the outcome of the 1964 Chilean presidential elections. Eight million dollars was spent, covertly, in the three years between 1970 and the military coup in September 1973, with over three million dollars expended in fiscal year 1972 alone." CyberCemetary - The University of North Texas Libraries and the U.S. Government Printing Office, as part of the Federal Depository Library Program, created a partnership to provide permanent public access to the electronic Web sites and publications of defunct U.S. government agencies and commissions. This collection was named the CyberCemetery by early users of the site. Cryptome - Collects information about freedom of expression, privacy, cryptography, dual-use technologies, national security, intelligence, government secrecy. Also see Cryptome Archive page (aka Cryptomb). Daniel Ellsberg - The official homepage of Daniel Ellsberg's book, Secrets: A Memoir of Vietnam and the Pentagon Papers. As part of their research for Secrets, Ellsberg and his research assistant, Doug Weaver, spent many hours listening to references to Ellsberg and the Pentagon Papers in the Nixon Tapes, available at the National Archives in College Park, Maryland. One document presented here contains the full set of transcriptions painstakingly made by Weaver during this research; it supplements material available in the two other sources of Nixon Tape transcriptions, Stanley Kutler's Abuse of Power: The New Nixon Tapes, and the Pentagon Papers page on the National Security Archive website. Also: reviews, links, photo gallery, papers, audio and video files. 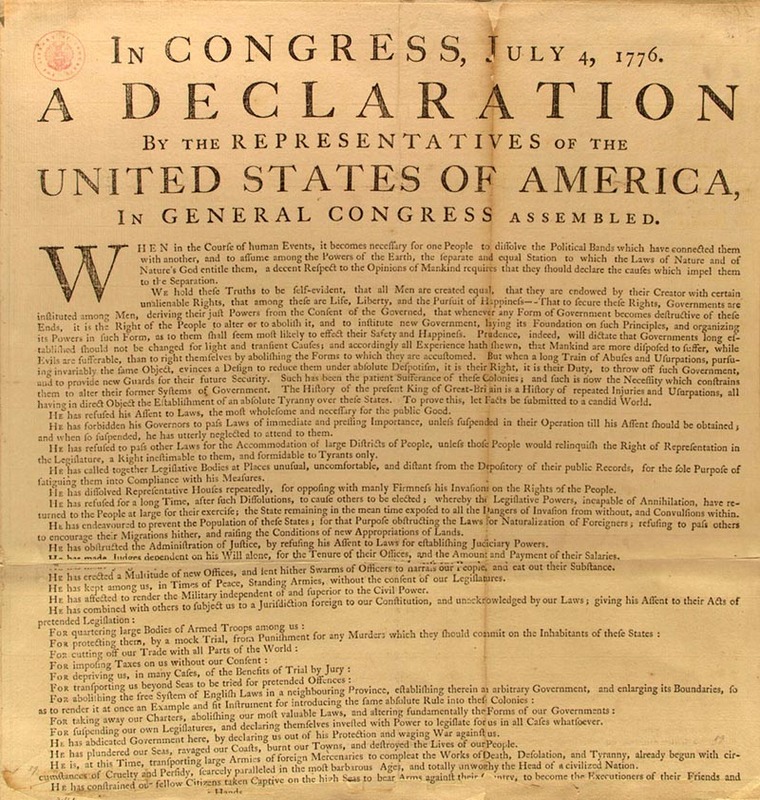 Declaration of Independence - A wealth of information about the signers of the U.S. Declaration of Independence, the history of the Declaration, and an online version of the Declaration. Declassified National Intelligence Estimates on the Soviet Union and International Communism - The CIA Electronic Reading Room provides ann inddex of available NIEs on the Soviet Union and international communisim. Digital National Security Archive (DNSA) - ProQuest, in partnership with The National Security Archive produce the Digital National Security Archive, the most comprehensive collection available of significant primary documents central to U.S. foreign and military policy since 1945. Over 80,000 of the most important, declassified documents - totaling more than 500,000 pages - are included in the database. Many are published now for the first time. DNSA currently contains thirty-six Collections. Discursos e Intervenciones de Fidel Castro - Full texts of Fidel Castro's speeches in a variety of languages starting with 1998. Documenting the American South (DocSouth) - A digital publishing initiative that provides Internet access to texts, images, and audio files related to southern history, literature, and culture. Currently DocSouth includes sixteen thematic collections of books, diaries, posters, artifacts, letters, oral history interviews, and songs. Domesday Book Online - The Domesday Book is a great land survey from 1086, commissioned by William the Conqueror to assess the extent of the land and resources being owned in England at the time, and the extent of the taxes he could raise. It provides extensive records of landholders, their tenants, the amount of land they owned, how many people occupied the land (villagers, smallholders, free men, slaves, etc. ), the amounts of woodland, meadow, animals, fish and ploughs on the land (if there were any) and other resources, any buildings present (churches, castles, mills, salthouses, etc. ), and the whole purpose of the survey - the value of the land and its assets, before the Norman Conquest, after it, and at the time of Domesday. Some entries also chronicle disputes over who held land, some mention customary dues that had to be paid to the king, and entries for major towns include records of traders and number of houses. Donovan Nuremberg Trials Collection - Consists of nearly 150 bound volumes of Nuremberg trial transcripts and documents from the personal archives of General William J. Donovan (1883-1959). The Donovan papers contain both original statements from the defendants in German and typed translations in English prepared by the Allies. Douglass - An electronic archive of American oratory and related documents. It is intended to serve general scholarship and courses in American rhetorical history at Northwestern University. Dred Scott Case Collection, The - In 1846 Dred Scott, a fifty year-old slave, and his wife Harriet, filed suit for their freedom in the St. Louis Circuit Court. The records contained in this exhibit document the Scotts' early struggle to gain their freedom through litigation and are the only extant record of this significant case as it was heard in the St. Louis Circuit Court. Eire á Móradh: Singing the Praises of Ireland - Companion to a 2008 exhibit with an aim "to celebrate the Irish and Ireland. By utilizing books and manuscripts, a broad overview is achieved. The range is enormous: from the 'Book of Kells' and 'Book of Durrow' to significant 'modern' Irish writers such as W.B. Yeats, James Joyce, and Seán O'Faoláin." Includes a selective chronology and annotated images of works. From the Special Collections Library, University of Otago, New Zealand. Electronic Briefing Books - The National Security Archive provides online access to critical declassified records on issues including U.S. national security, foreign policy, diplomatic and military history, intelligence policy, and more. EroDocs - Online sources for European history. EuroDocs - Western European historical documents. Selected transcriptions, facsimiles and translations. Experiencing War: Stories from the Veterans History Project - Personal recollections of war. A project of The Library of Congress. Federalist Papers, The - A series of 85 articles and essays written by Alexander Hamilton, James Madison, and John Jay promoting the ratification of the United States Constitution. Seventy-seven were published serially in The Independent Journal and The New York Packet between October of 1787 and August 1788. A compilation of these and eight others, called The Federalist; or, The New Constitution, was published in two volumes in 1788 by J. and A. McLean. Also see Wikipedia entry. Fold3 - In addition to hosting millions of records, Fold3 supports a community of people that are passionate about a variety of topics relating to history. Footnote creates an environment where members can share their content and insights, ranging from major historical events to personal accounts and family histories. Foreign Relations of the United States - Presents the official documentary historical record of major U.S. foreign policy decisions and significant diplomatic activity. The series, which is produced by the State Department's Office of the Historian, began in 1861 and now comprises more than 350 individual volumes. The volumes published over the last two decades increasingly contain declassified records from all the foreign affairs agencies. Founders' Constitution - An aid to deeper understanding of the U.S. Constitution. Philip B. Kurland and Ralph Lerner draw on documents from the early seventeenth century to the 1830s, from the reflections of philosophers to popular pamphlets, from public debates in ratifying conventions to the private correspondence of the leading political actors of the day. Frank S. Tavenner Collection, Tokyo War Crimes Trial - ncludes the digitized images from 26 boxes of Tavenner's personal papers from the trial. Serving as Counsel, and later Acting Chief of Counsel in the absence of Joseph B. Keenan, for the International Military Tribunal of the Far East, Tavenner collected thousands of pages of internal documents from the International Prosecution Section (IPS) that operated from 1945 to 1948. Of note is the correspondence between members of the team regarding their strategies, use of evidence and overall attitudes towards the trial, especially during Keenan's absence in 1947. Tasked with seeing to the overall preparation of cases against individual defendants, Tavenner kept case files on each of the accused. The collection also includes documents that outline collaboration between Japan, Germany, and Italy. Tavenner's collection of documents offers rare insight into the inner workings of an international war crimes prosecution that was second only to the Nuremberg Trials. Franklin D. Roosevelt Presidential Library - Access a portion of the rich collection of documents, photographs, sound and video recordings, finding aids, and other primary source materials found at the Franklin D. Roosevelt Library in Hyde Park, New York. Free Speech Movement (FSM) Archives - Information on the rich history that led to the FSM and the complex developments that followed from it. Read Mario Savio's Speech Before the FSM Sit-in. Fujimori Found Guilty of Human Rights Crimes - Washington, DC, April 7, 2009: As a special tribunal in Peru pronounced former president Alberto Fujimori guilty of human rights atrocities, the National Security Archive today posted key declassified U.S. documents that were submitted as evidence in the court proceedings. The declassified records contain intelligence gathered by U.S. officials from Peruvian sources on the secret creation of "assassination teams" as part of Fujimori's counterterrorism operations, the role of the Peruvian security forces in human rights atrocities and Fujimori's participation in protecting the military from investigation. General Assembly Documents of the United Nations - UN documents of the 51st-55th General Assembly sessions. George Washington Papers - This collection from the Manuscript Division at the Library of Congress consists of approximately 65,000 documents. This is the largest collection of original Washington documents in the world. Document types in the collection as a whole include correspondence, letterbooks, commonplace books, diaries, journals, financial account books, military records, reports, and notes accumulated by Washington from 1741 through 1799. Governmentattic - "Rummaging in the Government's attic," the aim of this web site is to make available materials that are not available elsewhere. Great Seal of the U.S., The - The true story of America's most eloquent symbol and the heritage and hope it reflects back to those who look into it. Hanover Historical Texts Project - Primary texts. HarpWeek - Presents 19th century history through online access to the content and pages of the leading illustrated newspaper of its time, Harper's Weekly. Historic Government Publications from WWII - Contains 343 informational pamphlets, government reports, instructions, regulations, declarations, speeches, and propaganda materials distributed by the U.S. Government Printing Office (GPO) during the Second World War. Historical Directories of England & Wales - The University of Leicester is creating a digital library of eighteenth, nineteenth and early twentieth century local and trade directories from England and Wales. Directories of counties and towns are among the most important sources for local and genealogical studies. They include lists of names, addresses and occupations of the inhabitants of the counties and towns they describe, and successive editions reflect the changes in the localities over a period of time. History Buff - Devoted to media coverage of American history. How the press covered events in history. Read the actual newspaper accounts for events in American history - not the transcrips or microfilm copies - but the originals. History of Germany: Primary Documents - Medieval Germany, Renaissance, Reformation and Early Modern Germany, Eighteenth and Nineteenth Century Germany, World War I and Weimar Republic, National Socialism and World War II, Holocaust, Germany Divided and Reunified, German Constitutions and Legal Documents, German Local and Regional History Sources, Other Collections Relevant to German History. History.UK - World's largest online directory of people, organisations and places associated with UK history. HistoryWired: A few of our favorite things - This experimental site, presented by the Smithsonian Institution, introduces visitors to some of the three million objects held by the National Museum of American History, Behring Center. Ho Chi Minh Archive - Ho Chi Minh, real name Nguyen Tat Thanh (1890-1969), Vietnamese Communist leader and the principal force behind the Vietnamese struggle against French colonial rule. Hudson River Valley Heritage - Providing online access to historical materials from New York State's Hudson River Valley. Images of American Political History - Over 500 public domain images of American political history. Inaugural Addresses of Presidents of the U.S. - From George Washington to William Jefferson Clinton. Indian Affairs: Laws and Treaties - Compiled and edited by Charles J. Kappler, this is an historically significant, seven volume compilation of U.S. treaties, laws and executive orders pertaining to Native American Indian tribes. The volumes cover U.S. Government treaties with Native Americans from 1778-1883 (Volume II) and U.S. laws and executive orders concerning Native Americans from 1871-1970 (Volumes I, III-VII). The work was first published in 1903-04 by the U.S. Government Printing Office. Enhanced by the editors' use of margin notations and a comprehensive index, the information contained in Indian Affairs: Laws and Treaties is in high demand by Native peoples, researchers, journalists, attorneys, legislators, teachers and others of both Native and non-Native origins. Internet Modern History Sourcebook - Source material in modern European, American, and Latin American history and materal relating to world cultures and global studies. Iran-Contra Affair: The Making of a Scandal, 1983-1988 - Iran-Contra document collection providing a contemporary record of the political, military and paramilitary operations -- overt, covert and extra-official -- which served as the foundation of the most significant American scandal since Watergate. The collection consists of 4,635 documents totaling approximately 14,000 pages. The bulk of the documentation was produced between the fall of 1983, when Congress first put significant limits on official U.S. assistance to the Nicaraguan Contras, and the end of 1986, when the Iran initiative and the Contra resupply operations were publicly exposed, and official investigations began. Relevant legal papers, including the March 1988 indictment of National Security Council (NSC) officials John Poindexter and Lt. Col. Oliver North, and private operators Richard Secord and Albert Hakim, round out the set. The collection provides documents germane to the immediate scandal as well as to the decisionmaking process, the policies, and operations from which the Iran-Contra Affair evolved. Irish Penal Laws - On this site you will find the text of those Penal Laws which were passed in Ireland during the reigns of William and Mary, William III, Anne, and George I and II, that is to say, from 1691 to 1760. In addition, the site contains certain English statutes relating to the status of Irish Catholics. The purpose of this site is to make this raw material accessible to historians, legal scholars, students, and other interested people. J. Edgar Hoover: FBI FOIA Archives - Official Personnel File of J. Edgar Hoover, Director of the FBI from May 10, 1924, until his death on May 2, 1972. 1662 pages. Japanese American Relocation Archives (JARDA) - Libray, archival and museum collections and exhibits documenting the internment of Japanese American internment in the U.S. during WWII. John Goodwin Tower Papers (Southwestern University) - Correspondence and papers of the Texas Senator, photographs, memorabilia, books, audiovisual materials relating to pre-Senate, Senate, and post-Senate careers. Senate material includes press files, legislation, correspondence, campaign/political, personal, casework, committees, staff files, personnel, patronage/ appointments/recommendations, projects, calendars, schedules, special events, and state office files. Records of the Tower Senate Club and Senate Republican Policy Committee, and material pertaining to defense, foreign relations and armed services issues are included. Letters From an American Farmer (1782) - By J. Hector St. John de Crevecoeur, reprinted from the original ed., with a prefatory note by W.P. Trent and introduction by Ludwig Lewisohn. New York, Fox, Duffield, 1904. This webpage last updated on Thursday, November 9, 2017 2:23 PM.